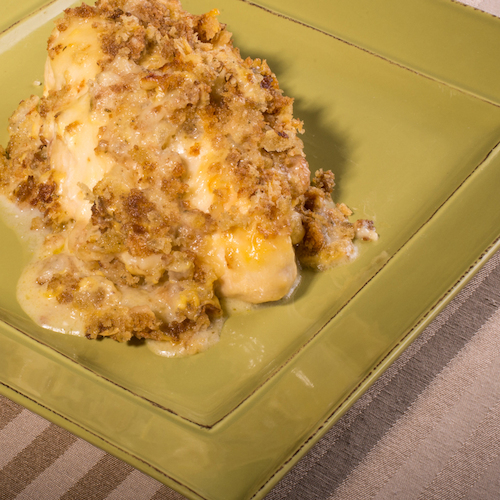 With the delicious taste of chicken and cheese baked into one dish, this Swiss chicken dinner is sure to impress. So good and so easy to make! Butterfly chicken breasts in place in baking dish. Put cheese on top of chicken. Mix soup, sour cream and wine and spread mixture over the cheese. Combine dressing with melted butter, put on top of soup mixture. Bake at 350° for 50 to 60 minutes.